Double board certified in Facial Plastic and Reconstructive Surgery and Otolaryngology, Dr. Adam Schaffner is the Director of Juva Plastic Surgery in NYC. That's interesting: Besides being the Director of Plastic Surgery at Juva, Dr. Schaffner is a clinical assistant professor of otolaryngology at Weill Cornell Medical College, the medical director of Reconstructing Hope and on the medical advisory board of the Little Baby Face Foundation. How did you get started in cosmetic surgery? What was your training? As a head and neck surgeon, I was frequently involved in removing masses which resulted in the need for reconstruction. I found that I enjoyed the reconstruction more than the removal. The progression into aesthetic plastic surgery resulted from the ability to improve the appearance of patients, whether it was to reverse signs of aging, improve contour of the face, breast or body, or repair a defect resulting from surgery or trauma. Where is your clinic located? How is it organized? The office is conveniently located in Manhattan at 60 East 56th Street, Second floor, just off of Park Avenue. In addition to the private office which allows patients to have a comfortable individualized consultation, the facility has an accredited outpatient surgery center where most of the aesthetic plastic surgery procedures are performed. A MediSpa is also located on-site where patients may see licensed aestheticians and a licensed massage therapist. The practice has both a plastic surgeon as well as dermatologists so patients can have all of their aesthetic and functional needs addressed by experts in one location. Can you give us some insight into how you train and compensate your staff? Having quality staff is essential for running a successful practice. The impression they leave when answering the phone, greeting patients, or providing information may make the difference in whether or not a patient decides to even meet with the doctor. Simply put, they can make or break your practice. Proper education and training is critical. Invest in your staff. Reward them for hard work and dedication. Incentivize them. Work to retain good staff. Lasers are an important part of my practice. Lasers are used to assist in liposuction and cellulite treatments to improve results and minimize downtime. Resurfacing lasers, such as the fractionated carbon dioxide laser, help to resurface the skin. This improves the tone and texture of the skin, reduces pore size, and rejuvenates one’s appearance. Other lasers help to target blood vessels (e.g., “red dots” or “spider veins”), brown spots, or other colors (e.g., to remove tattoos). In my opinion, Intense pulsed light (IPL) is a “jack of all trades, master of none”, as it does not target any one pigment or chromophore. Therefore, the results do not compare to those obtained from using the appropriately selected laser which targets the specific problem. What's your work ethic in managing your practice? One must focus on the quality of care, delivering consistent results, and having good relationships with patients. Offering the spectrum of cosmetic services including non-invasive, minimally-invasive, and traditional surgery enables patients to maintain their relationship with the plastic surgeon as their needs and desires evolve. Profits will come as a result of delivering quality care which will result in patients coming back and referring others to the practice. Always put the patient first and success will inevitably follow. Undersell and over deliver. This means not overestimating what technology can do or what you have the ability to do based on your experience and training. Refer to colleagues who have more expertise than you do in those areas in which you are not a true expert. Hopefully, those colleagues will do the same. This will allow patients to receive expert care from expert physicians and enable you to build a practice around those things in which you are an expert. In short, good medicine is good business and good business is good medicine. I would advise other physicians to work hard, believe in themselves, and treat all patients as they would want to be treated. Take time out to enjoy your family and friends. This is important not only to live a balanced life, but also to avoid burn out and to maintain your ability to be sharp and creative every day. If you are emotionally and/or physically exhausted, you cannot consistently deliver your best results. The best advice I ever received was to treat each patient as if he/she was a member of my own family. I do my best each day to do so. This means working hard, being honest, only treating conditions and performing procedures for which I am expert, and not taking any short cuts. About: Adam D. Schaffner, M.D., F.A.C.S., is a fellowship-trained New York City plastic surgeon who specializes in aesthetic plastic surgery of the face, breast and body. 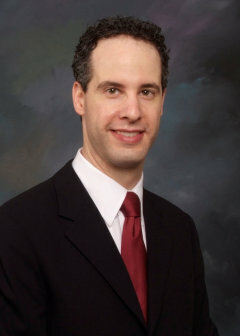 Dr. Schaffner is unique in that he is also board certified and fellowship-trained in facial plastic surgery as well as head and neck surgery. He currently serves as a Clinical Assistant Professor at Weill Cornell Medical College and Director of JUVA Plastic Surgery in Manhattan. Highly sought after by patients because of his knowledge and expertise, Dr. Schaffner delivers quality care and beautiful results using proven techniques which require minimal downtime.